"Sometimes You Wanna Kill Him"
"Why Are Your Shows So Long?" "I Want To Know If Love Is Real"
This was a great BBC documentary that originally aired in 1987. In between the interviews, there is footage from Phoenix 78, Largo, MD 78 (with the wrong date displayed) and Los Angeles 85. You can tell right away it was put together to promote the live box set. 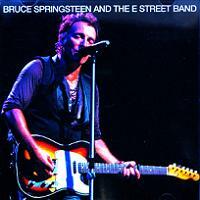 As stated in the documentary, Bruce and Jon Landau felt the time was right to release a live album. Intially, they listened to the Born in the USA tour but after that they went back further and listened to "Thunder Road" from the Roxy show from 1975. 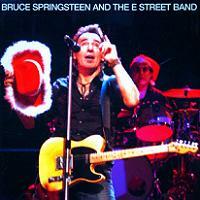 Bruce said, "we have to lead the box set off with this". 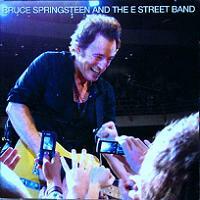 In addition to Bruce, various members of the E Street Band talk about how they got together and how they work together as a unit. Amazing to see how young everyone looks and how Bruce somehow sidestepped the riduculous 80's fashion (Clarence on the other hand...). Patti looks very cute with the big red hair and Steve is wearing mucho makeup. Bruce talks about dealing with fame after Born to Run came out and the media blitz from Time/Newsweek and Hammersmith shows. The Darkness lawsuit is touched upon as well as how Nebraska came together. 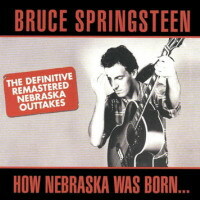 He talks about how the song "Born in the USA" has been misinterpreted just like Woody Guthrie's "This Land is Your Land". What was really interesting for me was that in the documentary, Bruce is exactly the same age I am now (37) and how his perspective has changed from when he started out in his early 20's. He believed he would never get married (much like me) and have a life outside music. He says as he got older, he couldn't find the answers he found when he was younger in old songs (again, can relate). I guess you could say adulthood creeped in and to borrow an idea from one his songs - eternal youth was the promise that was broken. In spite of, he says he still has a strong desire to perform. He says he gets so much out of it. E Streeters say he more focused now then ever. At the same time, he's more relaxed finding a balance between music and other things in life. Sound and video quality are excellent as well as the packaging that includes some great pictures. Bonus videos include a full live "Thunder Road" from LA 85 and two alternative conceptual videos for an unwatchable "Dancing in the Dark". Think Rambo dancing in a ballet studio and you get the idea why the one with Courtney Cox was used. I had to look away. 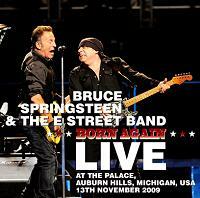 Other than that, this DVD is highly recomended for fans than want to hear the story straight from Bruce and the house rockin', pants droppin', earth shockin', hard rockin', booty shakin', love makin', heart breakin', soul cryin'... and, yes, death defyin' legendary E Street Band.